Plot Summary: An enormous asteroid is on a collision course with Earth. It's up to the military, with the help of an FBI agent, to locate the only man able to stop the comet, who is being held captive by a religious fanatic. Comments: Another of those below average asteroid films where the day is saved at the very end. 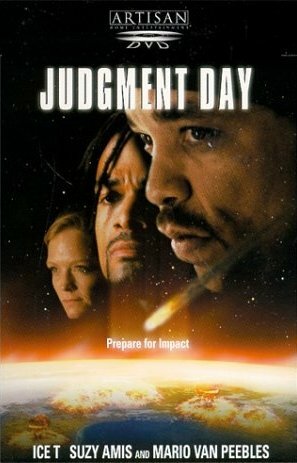 However, Ice T actually gives a decent performance in this flick along side Suzy Amis. Special Effects: The computer generated asteroid looks a bit dodgy and the disaster scenes, interspersed throughout the film, leave a bit to be desired as they are too brief and unrealistic. Obviously done with a low budget.